In “Stalking the Flats – What to look for” I listed some of the things to look out for which give a clue as to where fish will be holding in estuarine flats. Over the weekend I happened upon a publication from Mark Morrison et al entitled “Linking marine fisheries species to biogenic habitats in New Zealand: a review and synthesis of knowledge”. 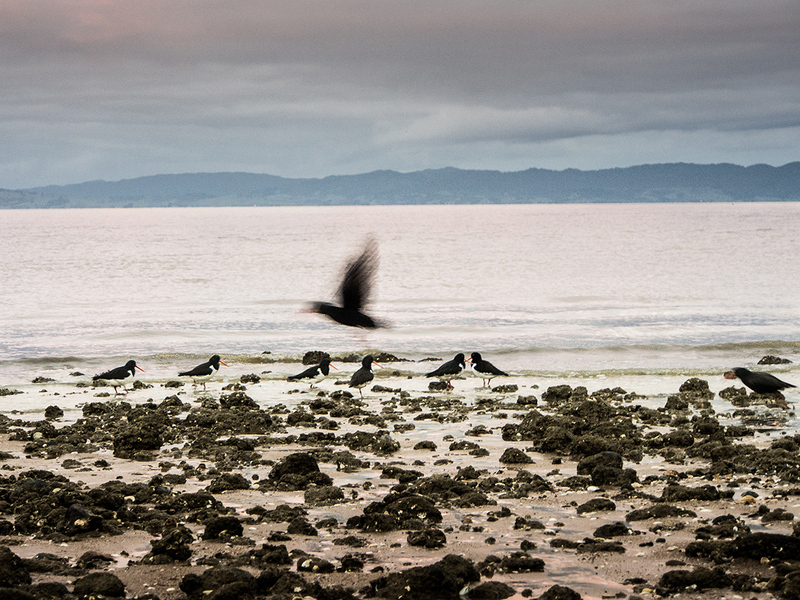 New Zealand Aquatic Environment and Biodiversity Report number 130. ISBN 978-0-478-43229-9. If you like to read detailed scientific papers then this one should appeal. It is an excellent summary of what is currently known and where the research gaps that need plugging are. Honest and informative. One of the things that this report lists is the habitat features in estuarine environments where bait fish, juvenile snapper and trevally are commonly found. This is important to anglers as it gives us some clues as to where our effort should be concentrated. Very helpful. 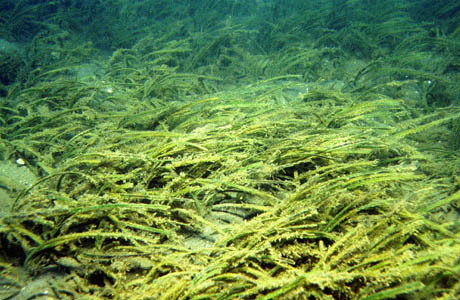 Sea grass meadows. Seagrass is a favourite haunt of juvenile snapper, trevally, parore, garfish (piper), gobies, spotties and triple fins, especially when the grass density is high and it offers lots of protection. Red Algae beds particularly the Gracelaria species. This fine red filamentous weed provides protection for small fish, shrimps, crabs and other invertebrates in much the same way as sea grass. Oyster reefs. The closely packed oysters create lots of nooks and crannies for small fish, shrimps, crabs and other invertebrates to hide in. Green lipped mussel congregations. The mussels improve water clarity and are a favoured haunt of spotties, triple fins and invertebrates. Horse mussel beds. Juvenile and adult snapper and trevally are attracted to horse mussel beds as the provide protection from predation and current. Pipi and cockle beds. These are recognised feeding areas for adult snapper and a sanctuary for small fish and invertebrates. 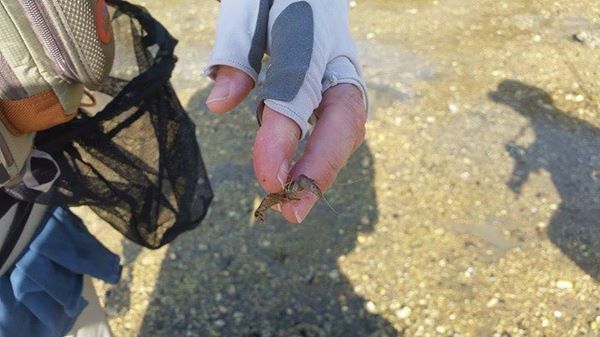 Interestingly the spot I fish on the Coromandel has seagrass, horse mussels and a cockle bed in close proximity. The perfect piscatorial trifecta. No wonder it is such a reliable producer of kahawai, trevally and snapper as there is plenty of cover for the baitfish. 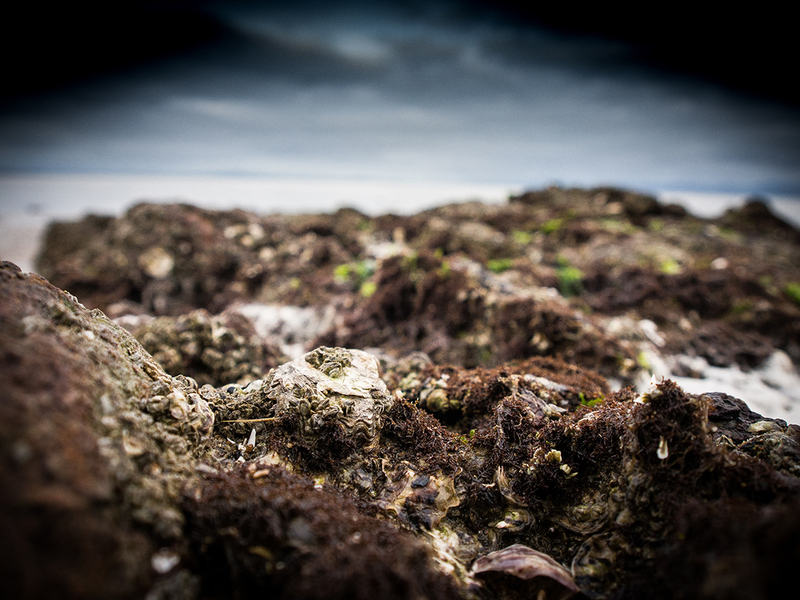 My favourite Manukau haunt is characterised by a red algae bed and an oyster reef. I’m picking that there will also be horse mussel colony far out in the main channel and cockles are prevalent on a nearby sand bar. At certain times of the year there are a lot of grey mullet cruising the margins and there is a large sand fan in a corner of the bay. Flounder are attracted to the sand and the combination of mullet and flounder is what brings in kingfish. The message here is try to find spots with habitat that is preferred by the fish that you are targeting as when you do success is not far away. When I start prospecting for new fishing spots I always start by trying to find what potential food sources are available on the shoreline at low tide. In the video below, I turned over a rock near an oyster reef and found a huge number of tiny crabs. This was repeated under every rock I turned over in the general area. No prizes for guessing what the fish would be feeding on at high tide at this spot. Spend some time at the start of each session checking out what is inhabiting the shallows and adapt your strategy accordingly. One thing I have noticed, particularly in the Manukau harbour is that kahawai and trevally start to feed on crabs during a prolonged period of inclement weather. The bad weather stirs up silt in the shallow areas and this reduces overall visibility over the entire harbour. If the water is dirty and silt laden then this makes it very difficult for kahawai and trevally to target small fish so they appear to switch their feeding patterns to prey that is less mobile and more easily visible on the bottom near where they are holding. Crabs and other less mobile creatures that inhabit the shallow weed and shellfish beds come in for extra attention at this time. A rough guide here is that clear water with good visibility is ideal for using lures that imitate small fish whereas dirty water with poor visibility means that a crab or shrimp pattern may be a better option. Following on a similar theme, in another unfamiliar spot that I went to with two friends we ended up exploring the rock pools at low tide after a fruitless session and found an abundance of mantis and snapping shrimps. We’d been using small bait fish imitations unsuccessfully whereas the local “plat du jour” for the resident fish was probably shrimp. Learning to observe what is around will help you decide what to use. Skilled freshwater fly fishermen are generally masters at this. It is something that those whose intend to regularly stalk the estuarine flats must learn to do. In summary, if there is ideal habitat for small fish, crustaceans and invertebrates then predators will inevitably follow. As anglers we need to be looking to find these spots where the habitat allows forage species to proliferate as this is where the higher predators will regularly appear. Reblogged this on Dr. Lawrence Hernandez's WordPress Blog.